The British journalists have been outrageous – I can’t wait to see what the British performance in the 2012 Olympics will be. They have their own version of ‘Own the podium’ ramping up performance in certain sports so that they won’t be embarassed on home turf, but I expect that their athletes will do the gentlemanly thing and let the visitors win. 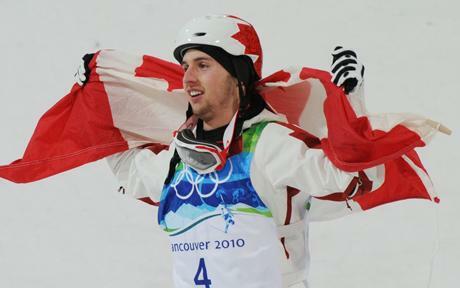 I think (and hope) that the Own the Podium program will be one of the legacies of the Vancouver Games. Canadian amateur athletes have at times struggled to make ends meat and it was about time that the government and private sponsors stepped up to help them. Looking back to Calgary, one of its greatest legacies was not the infrastructure or national pride that the games brought, but a high school dedicated to amateur athletes so they could better balance training with education. I think the British press are reading the program the wrong way (and maybe that is partly that those running Own the Podium have attempted to exist in partial secrecy- think about the tape that snowboarders/ skiiers had been wearing to cover the new technology on their equipment). Own the Podium is about letting our athletes do what they do best. Providing them with the means, equipment and support staff that will allow them to perform at their peak. It is about winning, but more about reaching our sport potential.